Fostering a dog means bringing the dog into your own home for a period of time to offer love, understanding and training. During this time you will also be assessing the dog for rehoming. 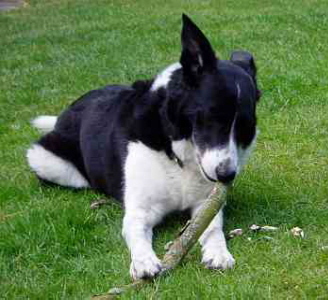 Your role as a fosterer will be to assess the dog’s ability to cope with everyday family life and situations. The dog may be nervous or over-confident. He or she may have limited house-training or no basic training skills. They may be expert bin raiders. They may hate cats. They may not be used to lead walking. Your input is always valued, and fostered dogs have a much better chance of finding permanent homes because we can be more accurate about their needs and with your help ensure that the right home is found for the dog. A fosterer provides all the daily needs for the dog, as if it were their own: feeding, walks, training, health-care and affection. We will cover all vets costs for any treatment at our own vets. A fostered dog may be with a carer for a short time, or for several weeks or months. This will depend on how soon the dog is assessed as ready for rehoming, and whether there is an enquiry from a home that is suitable. Rochdale Dog Rescue's rehoming policy states that all dogs will be neutered. vaccinated and microchipped, and all potential homes are vetted thoroughly. Fosterers are asked to welcome potential new owners, once vetted by Rochdale Dog Rescue, to visit the fostered dog in their home. What sort of dogs need fostering? Rochdale Dog Rescue deals with dogs of all breeds and all ages. As these dogs are from a pound situation, they are often strays with no history before they came into our care. This means that they have only been assessed within the limitations of a 7 day stay at the pound and then at our emergency boarding kennels. Some of these dogs will have issues that need resolving before they can be rehomed. It is essential that an applicant realises that, and has the patience and understanding necessary. This is why we ask that you have no young children. A dog may have been on the streets for some time and as a result be very thin and used to scavenging. These dogs are sometimes also fearful of people as they have learned to avoid capture. Many dogs brought into the pound are very young or elderly. Puppies that grow too big or too bouncy find themselves on the streets. The older dog that is no longer fun to play with, or has stiffening joints finds itself put out when a younger replacement comes along. Occasionally a dog shows signs of being dominant with other dogs, or a young untrained pup mouths a little too much. Not all are deliberately abandoned. Many are lost, and due to lack of identification all efforts to trace their owners have failed. The needs of the dogs are many and varied, and you will not be expected to be experienced with every possible problem. Not all of the dogs Rochdale Dog Rescue deals with have problems to resolve, but fosterers need to be aware that little is known about ‘poundies’. Wherever possible a dog is matched to the foster home to ensure a good relationship and happy dog. Often the dogs that need fostering in our care are those who are either stressed in the kennel environment and are distressed or harming themselves or those who need that little bit of extra TLC due to being in a poor condition, the very young or elderly or those in need of ongoing vet treatment. If we do not have any dogs in need of fostering at the current time we would love to keep your details ready for when the next dog in need comes into our care and needs your help! Our fosterers need to have experience of dogs (but do not need to currently have a dog), no young children, a secure garden and transport. They need to be at home for most of the day, and have patience with those little accidents that may occur. Fosterers need to be able to transport the dog into the care of our vets for any treatement and routine neutering, vaccinations etc. Ideally they would have the ability to offer basic training, possibly including house-training. We also love it if our fosterers have access to a digital camera for updated photos of the fosterered dog, especially when it is assessed ready for rehoming. It's an excellent way to show what the dog has achieved whilst in your care, and helps potential new owners find that special dog that wins their heart. Rochdale Dog Rescue supports positive training methods only. Guidance will be provided on this. You may be wondering what the benefits of fostering are. For the dog they are obvious. The safety of a home and not the risk of being put to sleep. The warmth of a bed, the touch of a hand, the love of a human carer. But what does the fosterer gain from the experience? Our fosterers are much valued members of our volunteer group. They provide a service that many people are not in a position to, and we work hard to ensure our carers feel respected, appreciated and supported. For the carer themselves there is the knowledge that they have helped save a life, and in doing so freed a space in the pound for another dog to be saved. This cycle is essential in working towards reducing the numbers of dogs being put to sleep daily around the country. It is a heart-warming experience to watch a dog develop and grow in confidence, to learn to trust, to regain health and fitness, and to learn some of those essential skills of socialisation and training. And isn't it amazing that it is down to the carer that all this happens? "We became involved because of just one dog. We've now seen 10 into new homes and stay in contact with most. It really makes us feel that our input was worthwhile when we see how well they have settled in to their new homes." "I am really pleased that, as with all our foster dogs, Gem has gone on to a wonderful new life with someone who will love and care for her forever. I feel very happy for her and hope that every dog will get that same chance!." "I have learned so much more about dogs since fostering. I've changed my views about certain breeds, and learned some valuable skills to boot. We wouldn't have our wonderful third dog if it wasn't for the opportunity to meet her through fostering". What support does a fosterer receive? Rochdale Dog Rescue will cover all necessary veterinary fees whilst the dog is in foster care. In some situations food costs can be reimbursed also, but fosterers are usually happy to provide this themselves. Fosterers have access to a network of telephone support from other Rochdale Dog Rescue volunteers, as well as being given recommended websites and forums where further help can be obtained. We ideally like our fosterers to be within a reasonable radius of the local area so they can stay under the care of our local vets, and we can be on hand to offer support and help out with rehomings. We will also assist you to present your knowledge of the dog with photos and descriptions, on approved websites when the dog is ready for rehoming. Details of local dog training classes can be provided for your benefit should you wish to access them. The fees for these are not covered by Rochdale Dog Rescue however. If all efforts to resolve a problem have been followed without success, arrangements will be made to find an alternative situation. The dog remains the responsibility of Rochdale Dog Rescue at all times and may be removed if there is concern for its welfare. If you feel you have the qualities we are looking for and want further information and an application form please use the link below and complete our contact form. We will need your name, email address, location and a contact telephone number. A Rochdale Dog Rescue fostering application form will then be sent to you via email.